Microsoft’s 12 Days of Deals has produced some amazing PC sales, and Microsoft’s spotlighting one more: the rugged, powerful Alienware 15 R3 gaming notebook, a bargain at $550 off—and with the opportunity to save $100 more. Microsoft’s 12 Days of Deals sales have produced some epic bargains, notably the $550 off the Dell XPS 13 steal that has, sadly, since expired. But smart shoppers know the power of last-minute deals, and there’s still a few to be scored as Microsoft’s deals days expire. 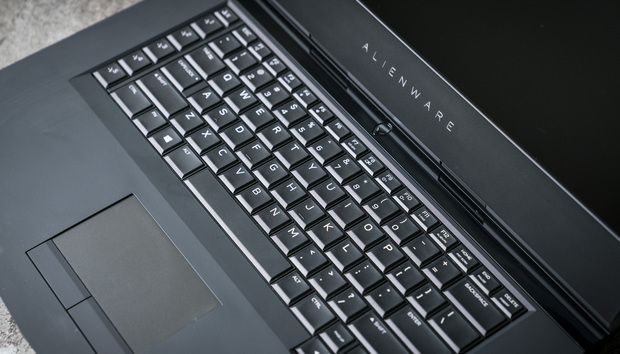 The one that stands out is the $1,599 Alienware 15 R3 deal, a 4-star gaming laptop that PCWorld reviewed just over a week ago. Unbelievably, that 15.6-inch laptop was priced at $1,996 then (MSRP $2,149), and has since plunged another $400. It’s a massive, rugged laptop, more suited to plopping on a desk than your lap—but with a 7th-gen Core i7, 16GB of RAM, 256GB SSD/1TB HDD and an Nvidia GeForce GTX 1070 graphics chip inside, it’s made for gaming. If the Alienware 15 is a bit small for your tastes, you can try the Alienware 17 R4 AW17R4-7004SLV-PUS for $1,899 ($600 discount): Though this discount isn’t as steep as Microsoft claims, it’s still a solid deal on the Alienware 17 R4, PCWorld’s favorite 17-inch gaming laptop. Today’s other notable gaming deals include the Dell Inspiron 15, for $899 (a $200 discount); the GeForce GTX 1060 graphics chip inside makes this a real deal. (The previous Dell Inspiron 15 i5577 deal appears to have expired.) Another discount that’s still available is the Asus ROG Zephyrus GX501VI-US74 for $2,499 ($200 off). The Zephryus is our favorite 15.6-inch gaming laptop, cramming an Nvidia GeForce GTX 1080 inside using Nvidia’s Max-Q technology. The $1,299 Dell XPS 13 9360 ($250 off) and the $999 Samsung Galaxy Book 12 2-in-1 ($180 off) are also both well-regarded machines, even if the discounts aren’t extraordinary. The remaining offers are hit and miss, with $100 to $150 off here and there. Unfortunately, discounts of this magnitude represent a gray area between the MSRP, the “actual” price of the hardware, and a viable discount. They’re often too close to call. Microsoft’s 12 Days of Deals are essentially done, though Microsoft’s releasing one more, just for gamers, on Sunday: an Xbox One S (normally $229 with a game or two) for $199, complete with your choice of a bundled game.